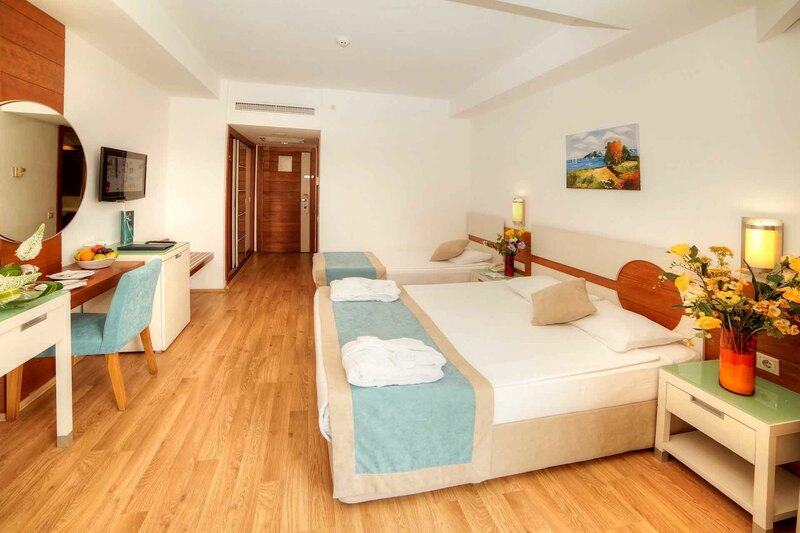 In our rooms you will find the pleasure and peace of mind. 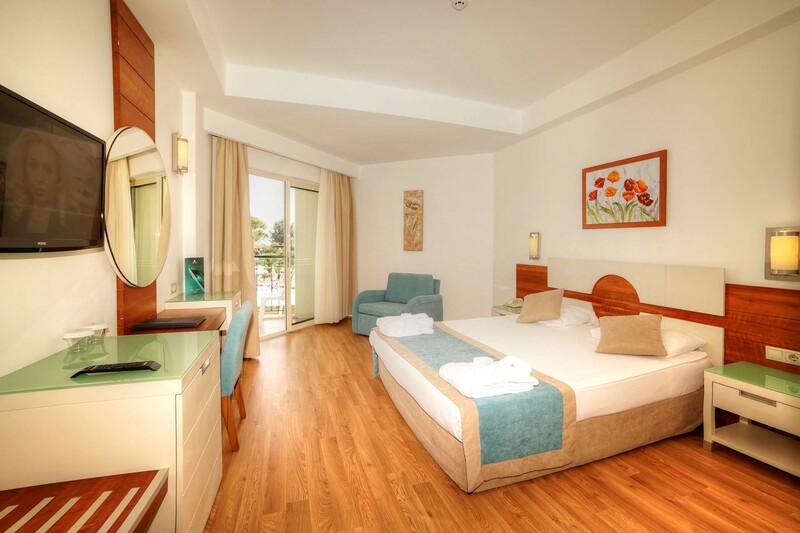 Zena Resort Hotel; Standard room with 150 land view, standard room with 44 sea view, family room with 8 land view, 10 economy rooms, 2 handicapped rooms, 214 rooms and 585 beds. Zena Resort Hotel; The rooms are equipped with balcony, minibar, direct telephone, information channel, satellite TV channels, music on television, central air conditioning system, bathtub / wc, hair dryer and safe.